Modern marketing is as much math and science as it is arts and crafts. Today’s modern marketer juggles spreadsheets and pipeline reports while simultaneously writing killer creative briefs. They speak the language of sales and build campaigns that drive real ROI. Visit Booth 911 for a Taste of Modern Marketing at #DF12! There are two things every modern marketer needs at a big event like Dreamforce... COFFEE & POWER CHARGERS! And we’ll have both at Booth 911. Get some juice for your smart phone or laptop, refuel with a coffee or latte and check out the latest lead management and sales enablement technologies. 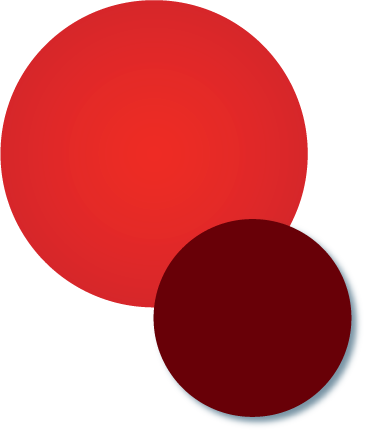 ABOUT ELOQUA - Eloqua (NASDAQ: ELOQ) provides the modern marketing expertise - the people, the education, and the technology - companies need to ensure every component of their marketing works harder and more efficiently to drive revenue. With its Marketing Automation software and Revenue Performance Management platform, Eloqua is helping some of the most successful companies in the world – from Polycom to National Instruments to the Miami Heat, improve their marketing and significantly impact their bottom lines. The first Marketing Automation solution to integrate with Salesforce.com, Eloqua continues to drive modern marketing innovation with its powerful ecosystem of partners, its unique open customer community and innovative AppCloud online app marketplace. For more information, visit www.eloqua.com, subscribe to the It's All About Revenue blog, call 866-327-8764, or email demand@eloqua.com. *Special Bonus – get the 2012 Gartner Magic Quadrant for CRM Lead Management so you can research the vendors you want to visit at the show! 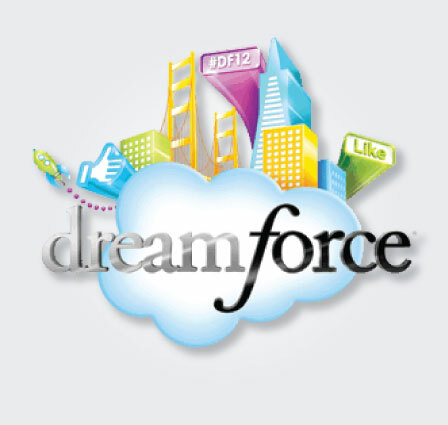 Check out the definitive guide to Dreamforce to make the most of your onsite experience. Filled with expert tips and insider expertise for navigating the show, this guide is essential reading whether you’re a Dreamforce veteran or a newbie. 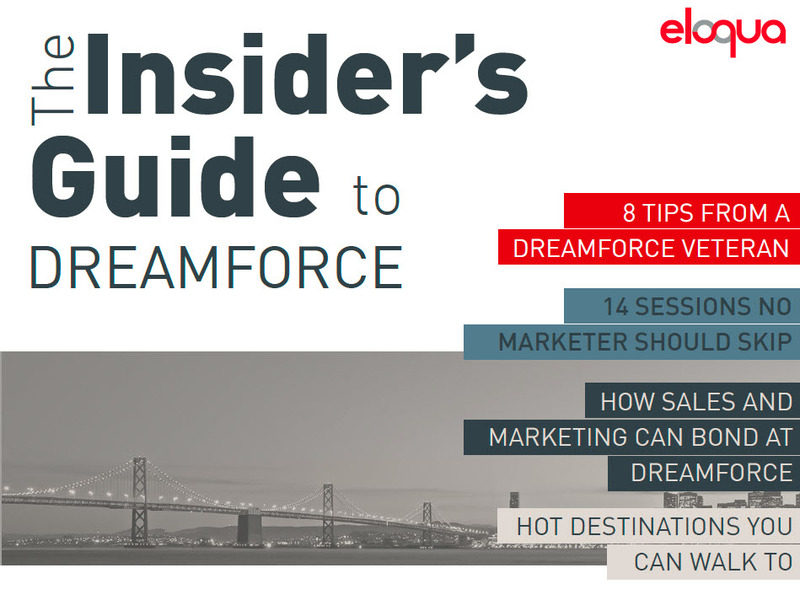 Fill out this form to get The Insider's Guide to DREAMFORCE today!